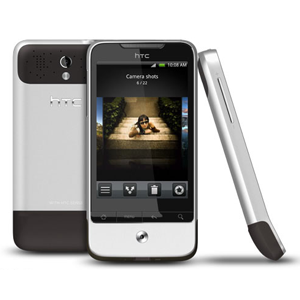 The HTC Legend is the Taiwanese companies 4th Android smartphone. Released in March 2010, the Legend features a 3.2" 320 x 480 AMOLED display, 600MHz processor and 384MB of RAM. Internal storage comes in at 515MB, with a microSD slot capable of reading up to 32GB. The Legend sports a 5MP camera, and is powered by a 1300mAh battery.